Using a creative and bold design in your PowerPoint slideshow is a great way to capture attention and make your presentation stand out. 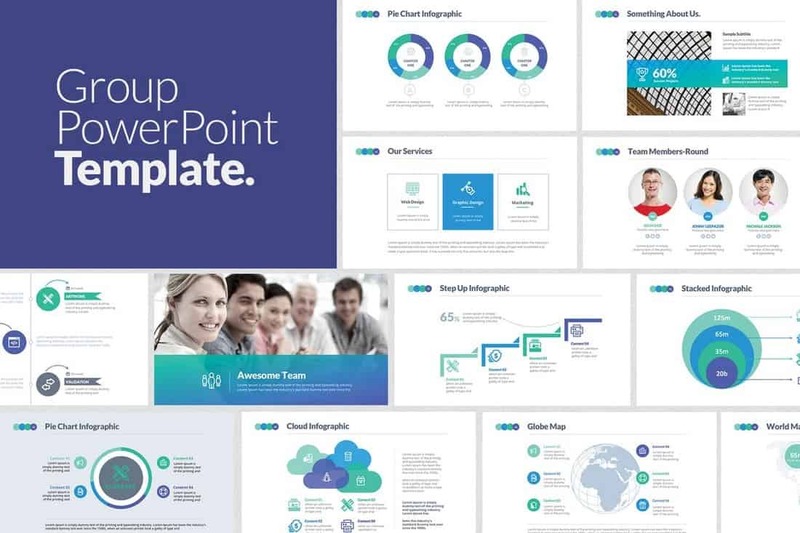 This beautifully designed PowerPoint template will help you achieve that goal. It comes with more than 40 slides that feature a unique design made specifically for marketing presentations. It’s also available in 2 different color themes. 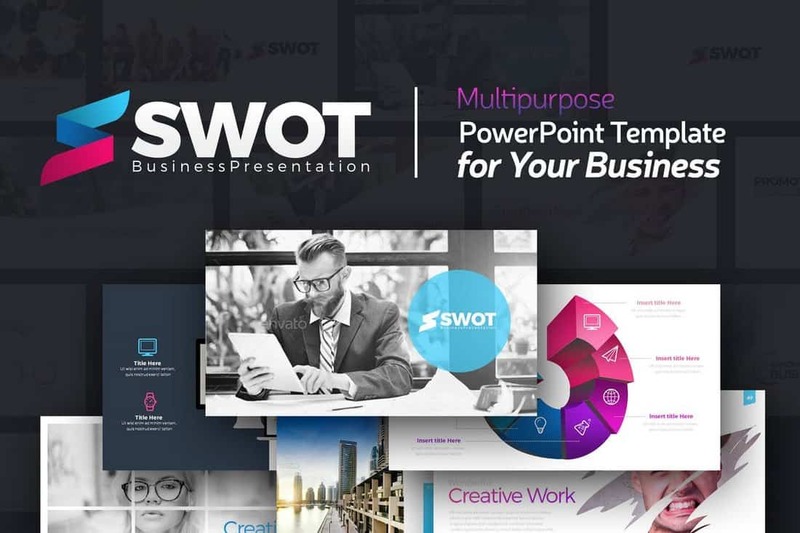 Whether you’re working on a business project presentation, product showcase, or company profile, this PowerPoint template can handle them all. It includes 50 unique slide designs in 10 different color schemes, which you can easily customize however you like to present your ideas in a modern and creative way. 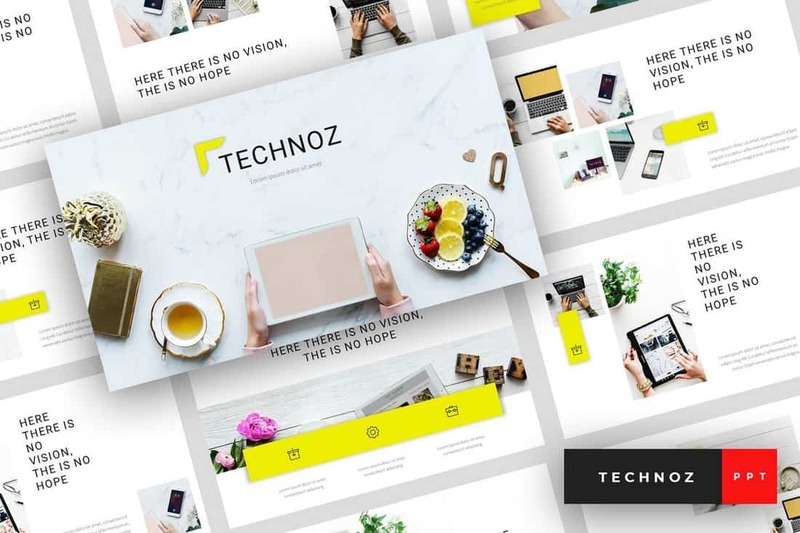 If you’re looking to make a presentation slideshow with less color and a minimalist approach, this PowerPoint template is perfect for you. 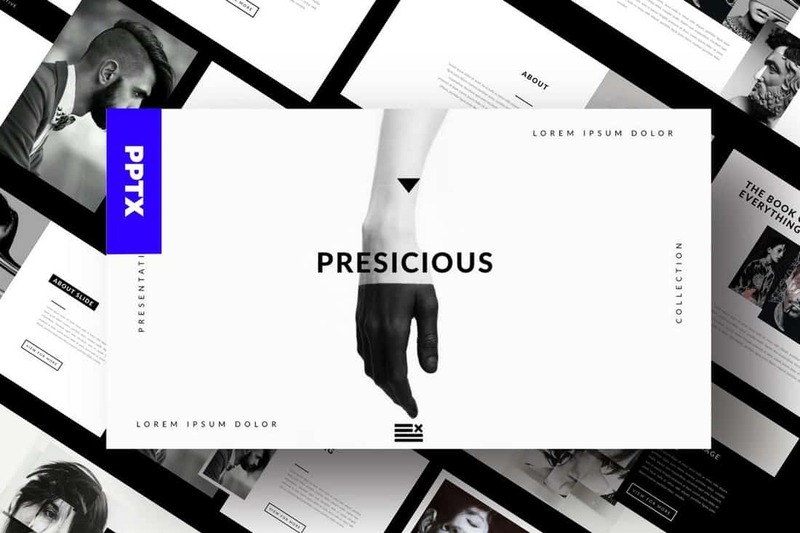 It features a set of beautiful slides designed with a content-focused layout. The template comes with 30 unique slides with editable vector graphics, icons, shapes, and more. Showing off elegance is a part of every modern business, especially for fashion and apparel brands. This PowerPoint template comes with 30 unique slide designs featuring 5 different color variations, a total of 150 slides, that are perfect for crafting modern and elegant presentations for all kinds of businesses. If your marketing agency specializes in influencer marketing, this is a PowerPoint template you must have. It comes with multiple slide designs based on 20 master slide layouts and the template is available in 2 different sizes. 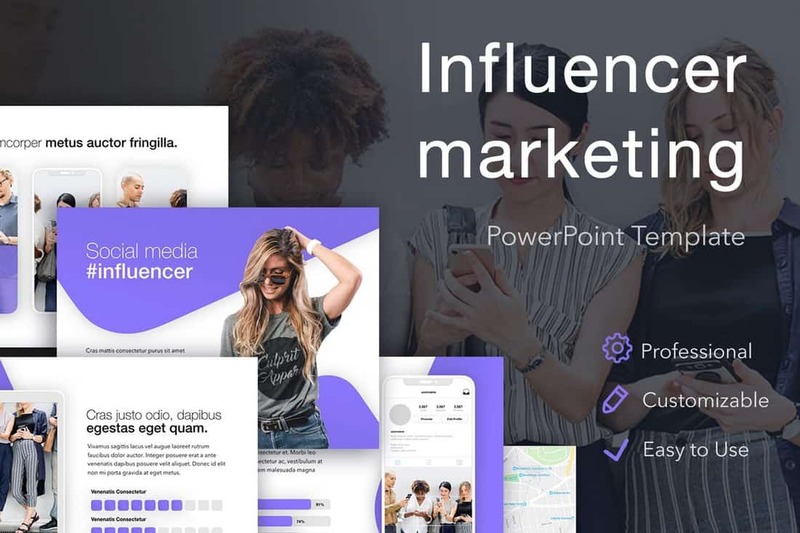 All of the slides are designed to create social media and influencer marketing presentations. Using a simple and uncluttered design in your slides is another brilliant approach to showing off professionalism in your presentations. This PowerPoint template is just right for that job. It comes with multiple slides filled with diagrams, charts, and vector graphics you can easily customize to your preference. 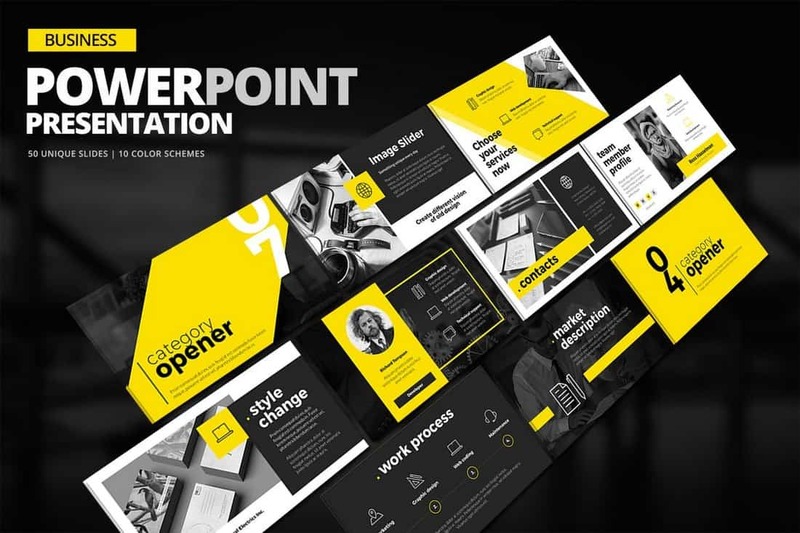 You can craft any type of business presentation using this PowerPoint template as it comes with a multipurpose design that appeals to all audiences. It includes 111 unique slide layouts in 20 different color schemes. The template also features a custom infographic, icons, and much more. 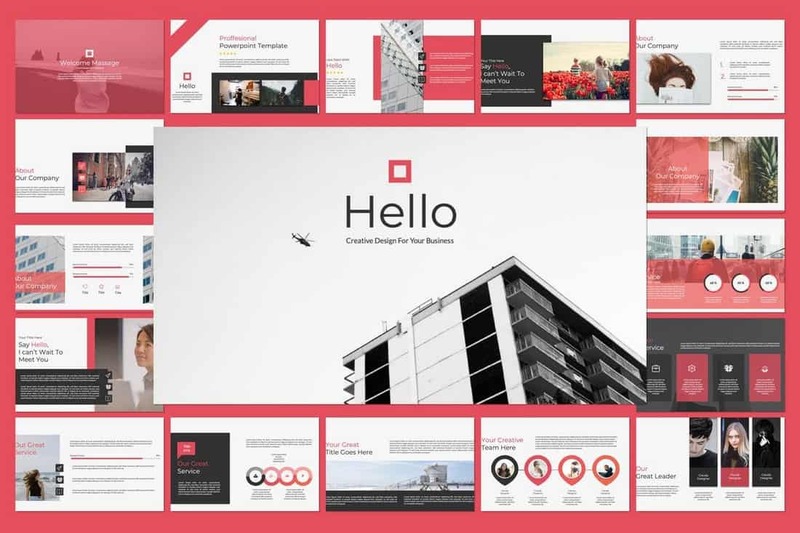 Every business needs a presentation template for showcasing their portfolio. This PowerPoint template is perfect for that task. 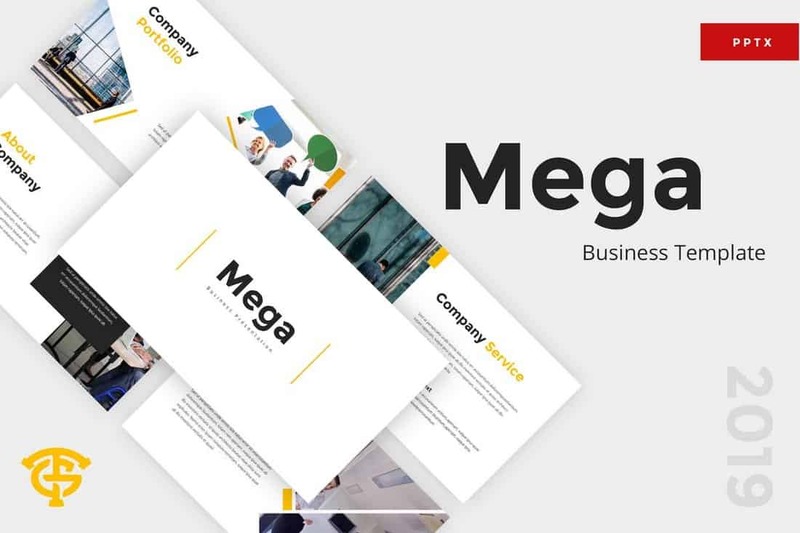 It comes with 50 unique slides featuring a minimalist design that effectively highlights your portfolio in every slide. The template also includes editable vector graphics, infographics, and icons. 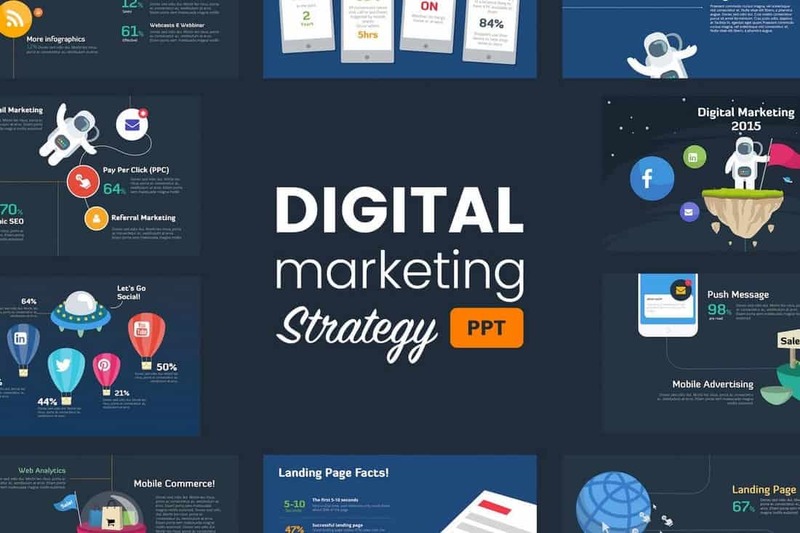 This PowerPoint template is designed for making digital marketing presentations. The clean and minimal design of its slides makes it ideal for all kinds of business, agency, and corporate slideshows. It includes 33 unique slides featuring editable vectors and image placeholders. Corporate business presentations don’t have to look boring. 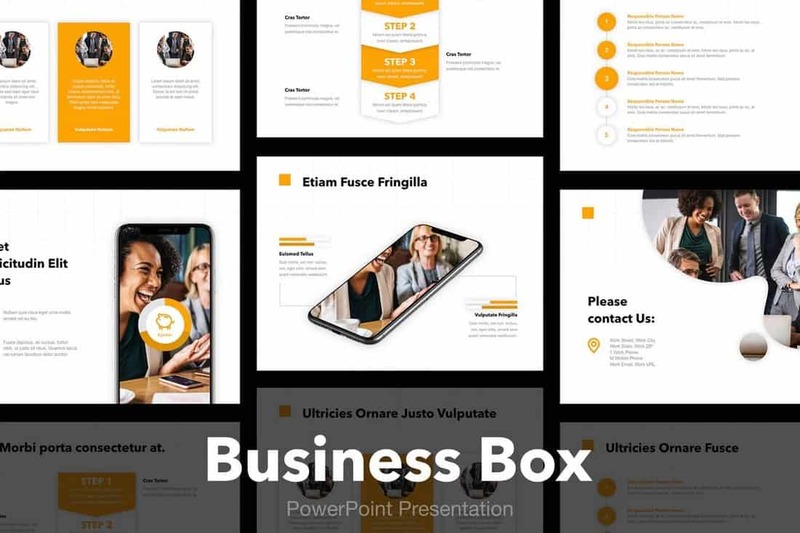 With this PowerPoint template, you can create more attractive and modern slideshows for corporate and business-related presentations. It includes slides in both light and dark color themes with editable colors and image placeholders. 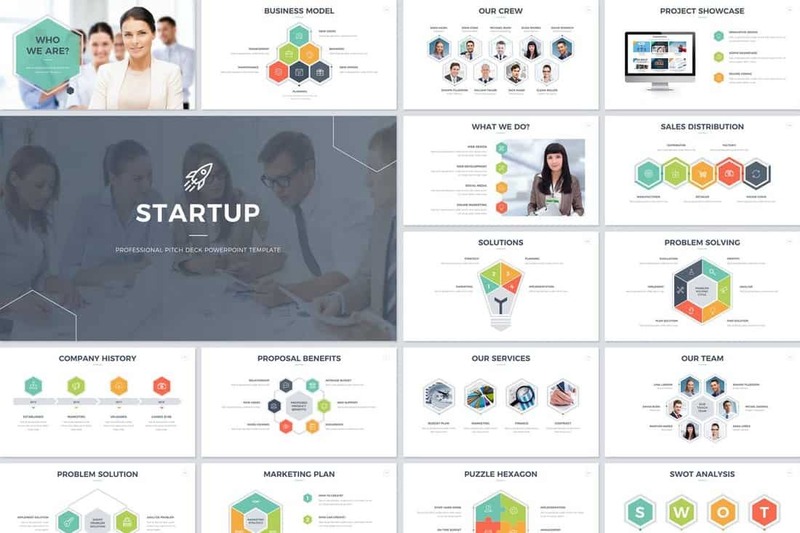 Featuring more than 200 unique slides, this PowerPoint template will help you design all kinds of business related presentations, especially including project plans, business plans, and more. It also comes with 30 creative business-themed vector graphics, 30 color schemes, and light and dark color themes. 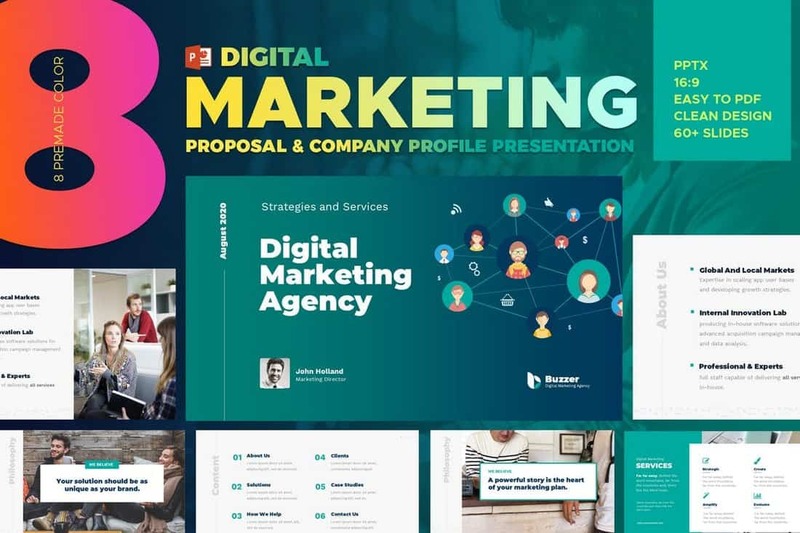 Designing beautiful and modern presentations for promoting your marketing agency will be much easier with this complete digital marketing PowerPoint template. It includes 60 unique slides featuring editable vector graphics. You can also choose from 8 different color schemes to customize the slide designs as well. 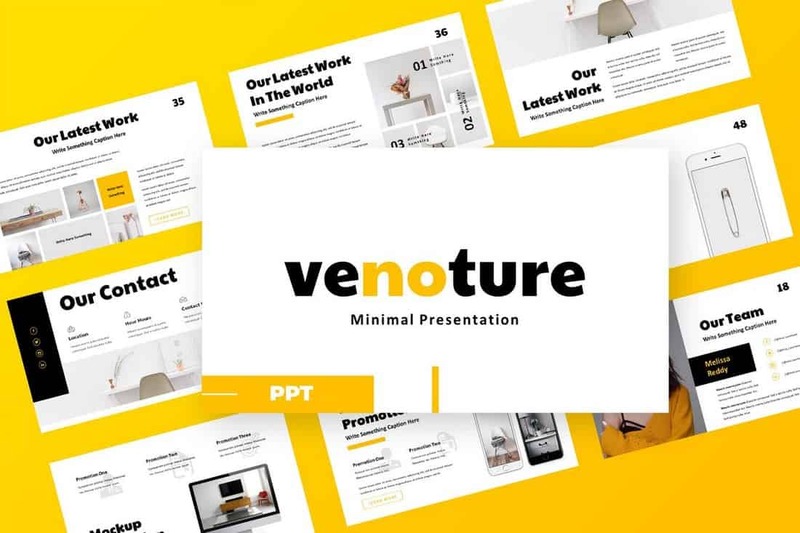 This modern business PowerPointe presentation template comes with more than 60 unique slides filled with editable vector shapes, graphics, icons, and so much more for making attractive presentations for all kinds of businesses. The template also includes lots of charts and graphs you can use to visualize data and make more compelling arguments. 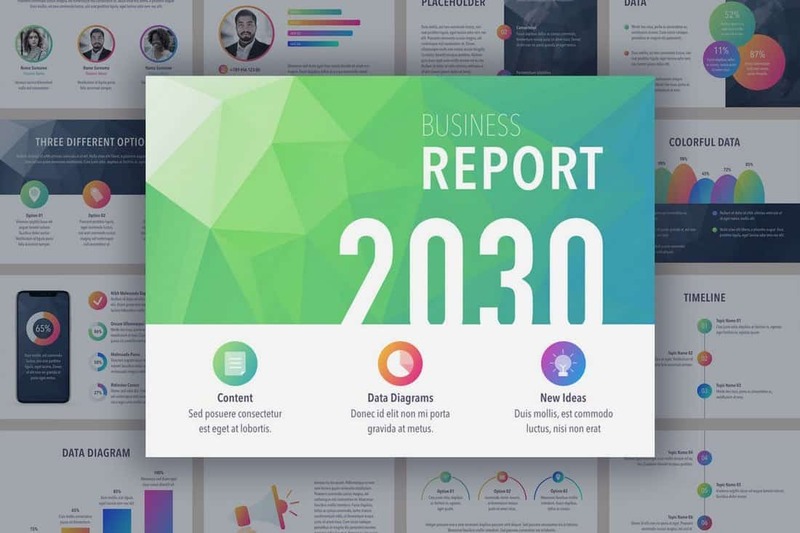 With this stylish and clean PowerPoint template, you can create effective presentation slideshows to showcase different types of business and marketing reports. It comes with a set of beautiful slides filled with charts, graphs, icons, infographics and much more. 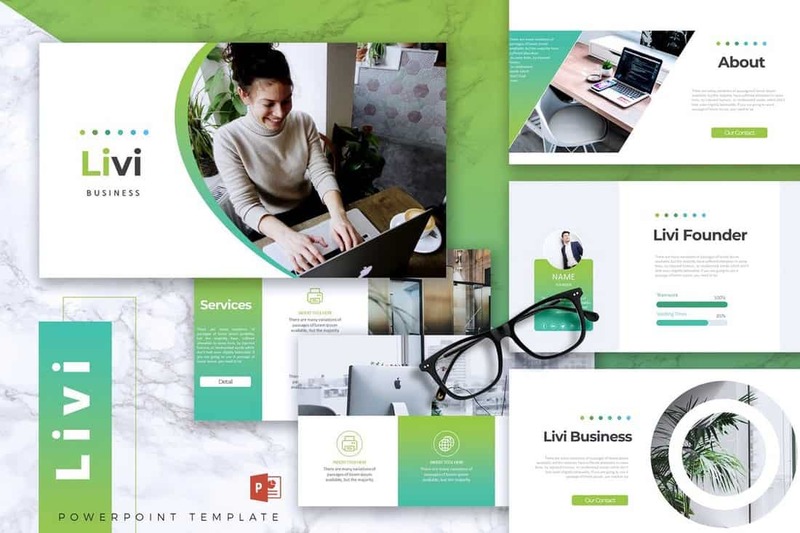 Whether you’re working on a presentation for a small business or an agency, this creative PowerPoint template will help you design more effective presentations for your brand. It comes with a simple slide design that can be easily customized to your preference and features 4 different premade color schemes. 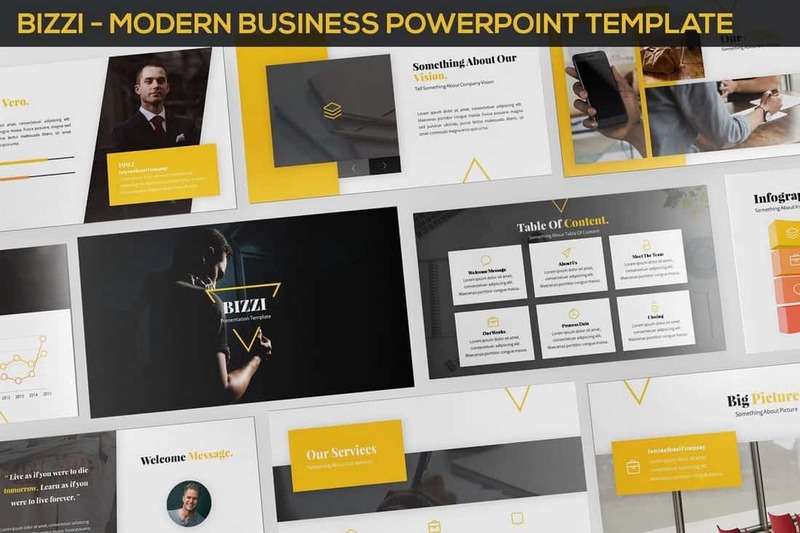 Bizzi is a multipurpose business PowerPoint template featuring 30 unique slides in 3 different color schemes. The template comes filled with flowcharts, graphs, mockups, and much more for making attractive business presentations. It’s also available in light and dark color themes as well. It takes careful planning to create a business proposal that win over clients. 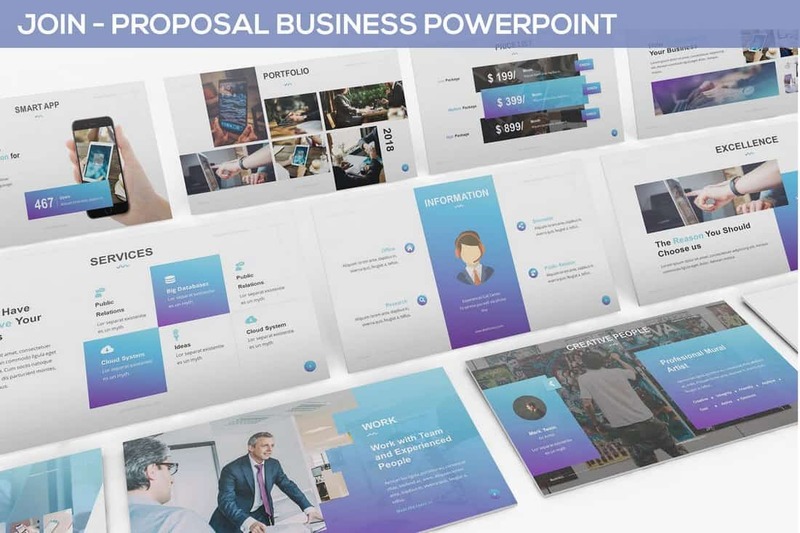 But, with this PowerPoint template, you’ll be able to easily create an effective business proposal without having to spend hours designing it. The template comes with 30 professionally designed slides in 3 color schemes to choose from. 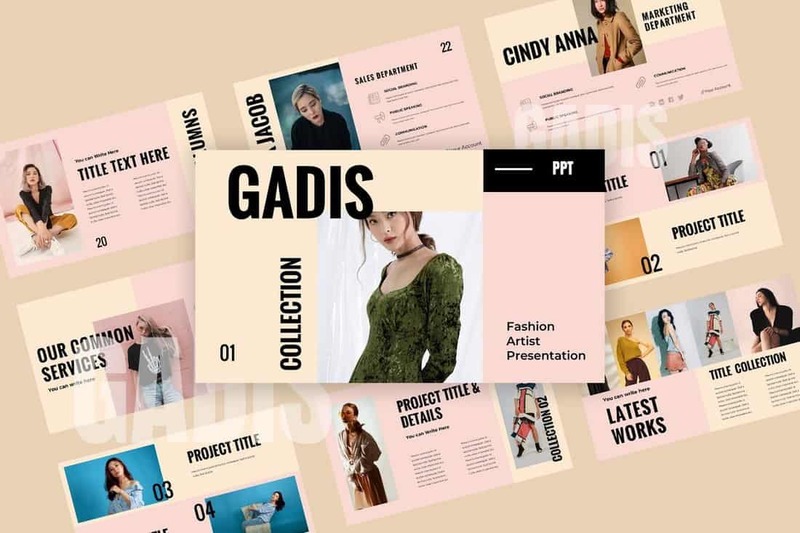 If you’re making a slideshow to promote a fashion-related brand or a business, this modern PowerPoint template will come in handy. It features a stylish and creative slide design that puts more attention on its featured images. 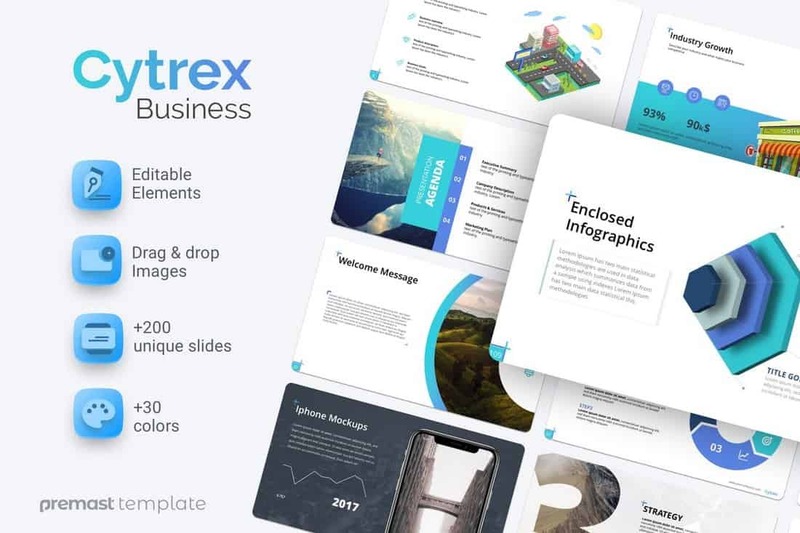 The template includes 50 unique slides with image placeholders, 500 icons, world map vector graphic, and more. Looking for a PowerPoint template to make a pitch deck? Well, you’ve found it. 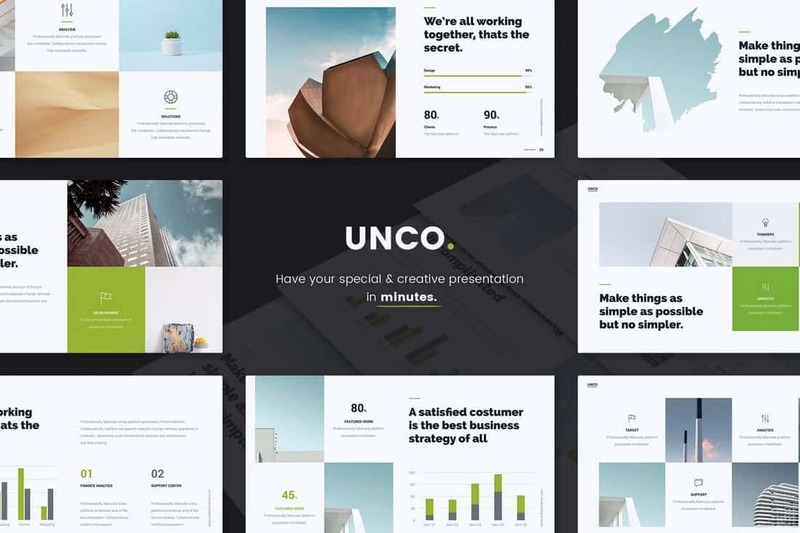 This template includes a total of 200 creative slides that allows you to create an effective slideshow to pitch your startup or product to clients and investors. The template is fully animated and comes in light and dark color themes as well. 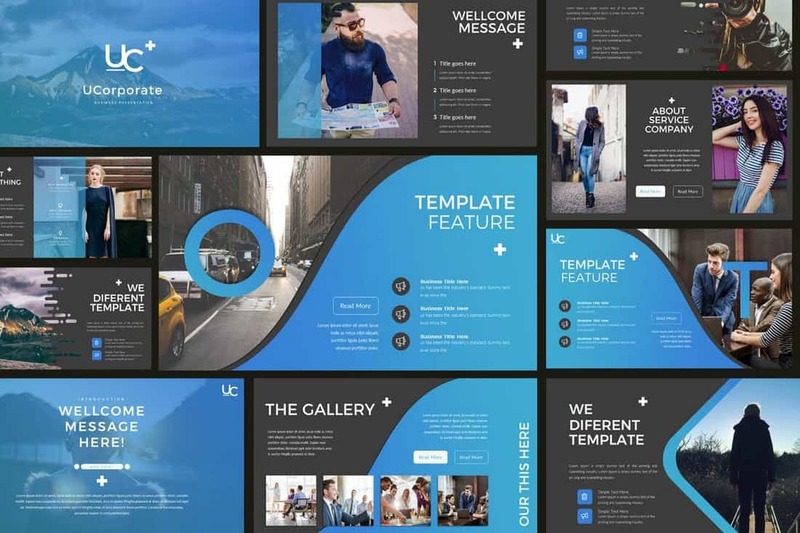 This beautiful PowerPoint template features a modern and creative slide design that will allow you to make all kinds of business and agency presentations. It includes 50 unique slides filled with image placeholders, editable graphics, and vector icons. Social media marketing is a big trend these days. It needs no convincing to prove its effectiveness. 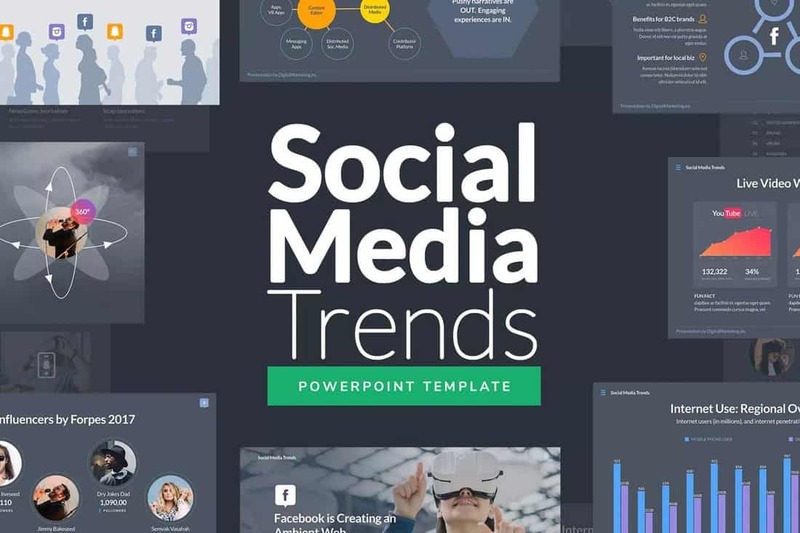 But with this modern PowerPoint template, you’ll be able to make a more compelling argument to show the power of social media trends and marketing. The template comes with 100 slides in both light and dark color themes. Making group presentations will be easier with this creative PowerPoint template that comes with 100 unique slides featuring 4 different color schemes. It also comes with an easily editable design with image placeholders and unlimited color options. Check out our list of modern and professional PowerPoint templates for more amazing designs.